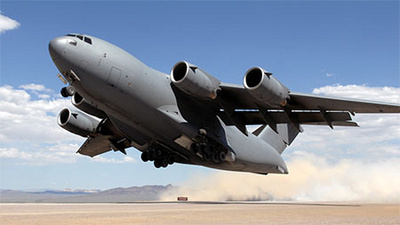 Rolls-Royce, according to a special report by 24/7 Wall St, manufacture engines for the U.S. Air Force’s C-130 Hercules transport aircraft as well as military helicopters and fighter jets. They’re also considered the second biggest UK defence contractor, with over one-fifth of the company’s 2015 revenue coming from military contracts. Although, as 24/7 Wall St’s report suggests, Bechtel isn’t the biggest contractor in the scheme of things, their defence contracts still account for 14 percent of their revenue. United Technologies Corp reported 61 billion in total sales in 2015, with 16 percent of those profits coming from defence contracts. Arms sales in total for 2015 were $9.5 billion, and profits cleared the $4.3 billion mark. With more subsidiaries than you can poke a stick at – including the better known Universal Pegasus International energy management company (gas and oil) – this company is a vital MIC player. Okay, admitting this isn’t entirely surprising, but the size of Boeing’s contribution to the MIC is. The figures are of a whopping size. Coming in as the second largest defence contractor behind Lockheed Martin Corp., Boeing, who helps design parts for Air Force One, generated 62 percent of its defence revenue (27.96 billion) from the Department of Defence. The massive business of war is set to get bigger. In recent news, a leaked Trump budget report showed a planned cash injection to the already bulging DoD budget, increasing it to a $54 billion USD. “This budget will be a public safety and national security budget,” Trump stated. “It will include an historic increase in defence spending to rebuild the depleted military of the United States of America at a time we most need it,” he said. The Military Industrial Complex expansion plans are really reaching for new heights.